Whether you're buying a new home or remodeling and old one, chances are home safety is one of your top concerns. See how to safely tackle DIY electrical projects; ways to safeguard your home against sinkholes, hurricanes & other natural disasters; info about super-secure door locks & safe rooms. Plus impact-resistant windows, surge protection for your entire home, and a bunch of other home safety tips that you won't find anywhere else. Impact resistant windows are a coastal homeowner’s best friend — especially during hurricane season! If you’re thinking of retrofitting your home with hurricane windows, here’s what you need to know before you begin the process of replacing your regular windows with impact resistant glass. Sinkholes can make lakes disappear & turn waterfront homes into a homeowner’s worst nightmare! Here’s what to watch for, plus info about sinkhole insurance. Keyless Door Locks: Which Type Of Keyless Door Lock Is Best? Here is all the best info and tips to build safe rooms for your home, including FEMA criteria and more. 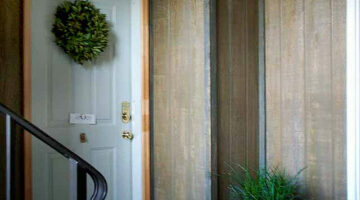 Remodeling a room in your house? If you’re installing paneling or beadboard wainscoting over drywall, chances are you’re going to need to electrical outlet spacers on your receptacles to make them flush to the wall. Here’s a simple and cheap solution that only takes a minute to install over your electrical wiring for a professional finish. 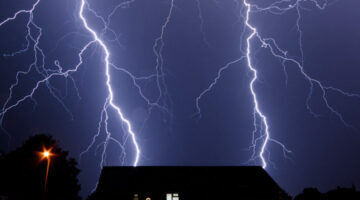 A lightning protection system is probably one of the most overlooked potential components of a new or existing home. It might cost a few bucks up front but it could save you hundreds of thousands of dollars. 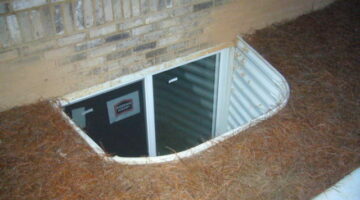 Valuable information regarding basement egress window wells. Check your local egress codes if you’re about to convert your basement into living space.